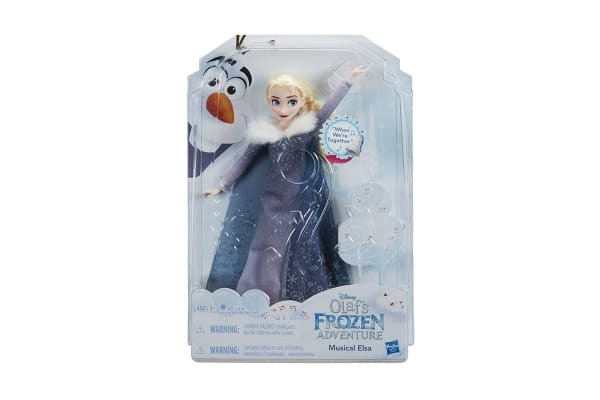 The Disney Frozen Singing Musical Elsa sings about the joy of celebrating the holidays together! Little dreamers can sing along with Elsa to the song, “When We’re Together”. 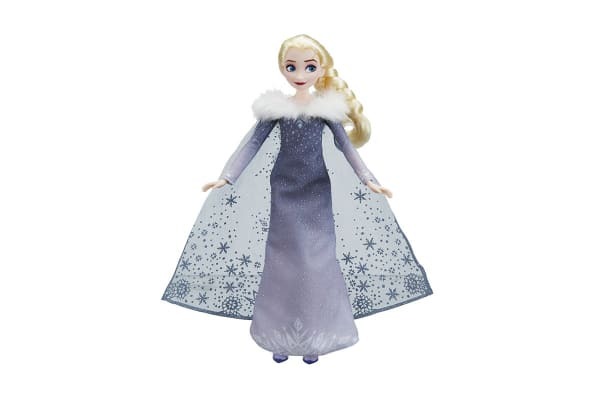 With a style inspired by the animated short film event, Olaf’s Frozen Adventure, the Disney Frozen Singing Musical Elsa doll features a shimmery silver dress and a matching pair of shoes. Press the button on her stomach to hear her sing and discover the true meaning of the holiday season through song!